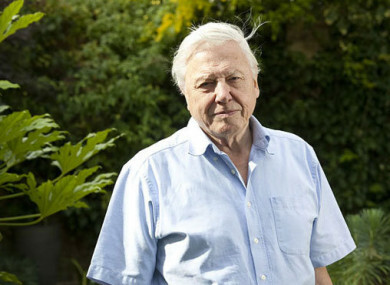 David Attenborough returns once more to help us all relax on a Sunday evening. In tonight’s episode there’ll be footage of coastal animals (sea lions and the likes) doing some hunting. You see just how much Puffins have to go through to get food for their young and a clip of a ‘Leaping Blenny’, a fish that hates water. If you hate nature, at the same time on the secondary BBC channel, Dara O’Briain and Angela Scanlon present the final episode of this year’s reboot of Robot Wars. Tonight’s winner in a Ten Robot Rumble will face the five winners from the last few weeks. The winner is crowned champion. After Kevin Davy White was eliminated last night, The X Factor 2017 reaches its grand finale with Rak-Su and Grace Davies facing off tonight. The 23-year-old Irish actress sang alongside the SNL cast in this song entitled ‘Welcome to Hell’. You can watch the rest of Saoirse’s appearance on SNL here. Shrek (Channel 4, 5.10pm) It’s no Shrek 2, but it’s still good. Babylon Berlin (Sky Atlantic, 9pm & 10pm) The German period crime drama returns for a second series with a double bill. Howard’s End (BBC One, 9pm) The final of the period drama airs tonight, with the three families having one final encounter. Mission: Impossible – Ghost Protocol (Channel 4, 9pm) Tom Cruise returns as Ethan Hunt once again. Email “What to watch on TV tonight: Sunday”. Feedback on “What to watch on TV tonight: Sunday”.